LeBron James did not hold an hour special on ESPN to announce his next NBA team, nor did he write a heartfelt letter to his new fan base. He said he wanted to get his free agency over with immediately and he did, agreeing to a four-year $153.3 million deal with the Los Angeles Lakers over the weekend. The announcement was made through his agency, Klutch Sports Group, which announced the deal as $154 million. The fourth-year is a player option. James leaves his hometown Cleveland Cavaliers for the second time in free agency. In 2010, he held “The Decision”, announcing his plans to take his talents to South Beach. He won two NBA titles with the Heat, then returned to Cleveland in 2014. He delivered the city’s first professional sports titles in 52 years, beating the Golden State Warriors in seven games in 2016. In June, the Warriors swept the Cavs in the NBA Finals. He thanked the people of Northeast Ohio on his Instagram story. James, 33, leaves the Cavaliers franchise as its leader in nearly every major statistical category, including games played, points, rebounds, assists and steals. He won two league MVPs in Cleveland (2009 and 2010) and made the All-Star team 10 times as a Cavalier. James led the franchise to five NBA Finals appearances, going 2-3. He is the Cavalier’s greatest player of all-time and this time around, even owner Dan Gilbert was sad to see him go. “Words do not express the meaning and the feeling this accomplishment brought to the people of Northeast Ohio,” said Gilbert in a lengthy statement thanking James. “None of this would have happened if LeBron James did not agree to come back home and lead the Cavaliers to the promised land. “LeBron is a family man, first. We wish his kids, his wife, Savannah, his mother, Gloria, and LeBron himself nothing but the best in the years and decades ahead. 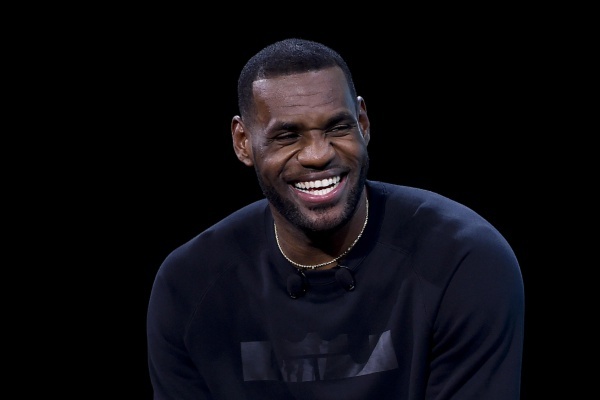 LeBron’s connection to Akron, Cleveland and all of Northeast Ohio will most certainly endure as his commitment to the region and his support of many important causes has been impactful to so many kids and families. James joins the illustrious list of NBA legends to play for the Lakers, which include Magic Johnson, Kareem Abdul-Jabber, Kobe Bryant, Shaquille O’Neal, Jerry West, Elgin Baylor, Wilt Chamberlain, and many others. Abdul-Jabbar and Bryant welcomed James to the family shortly after the moved to L.A. was announced. The Lakers missed out on free agent and Los Angeles native Paul George but struck gold with James. They still have their eyes on Kawhi Leonard of the San Antonio Spurs and a few other high-profile players, but have already begun to build a team around James, agreeing to deals with free agents Lance Stephenson and Javale McGee. The purple and gold still have work to do if they want to compete with the Warriors, but they landed the man who could possibly bring them a record-tying 17thNBA championship.